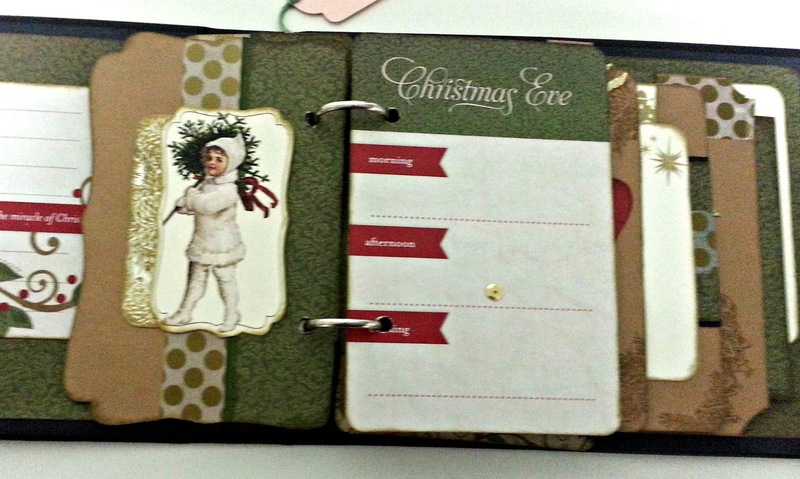 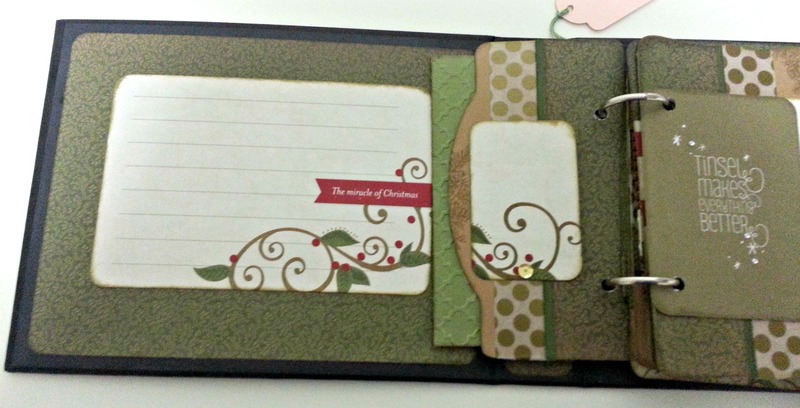 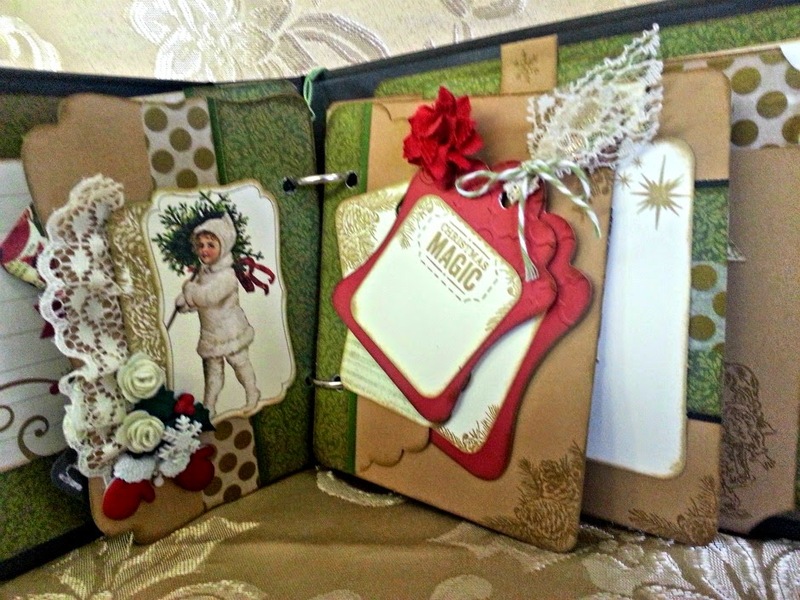 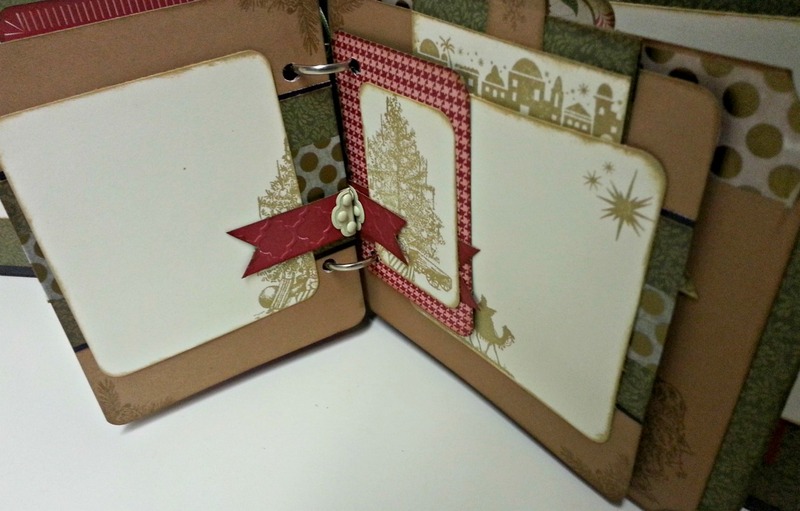 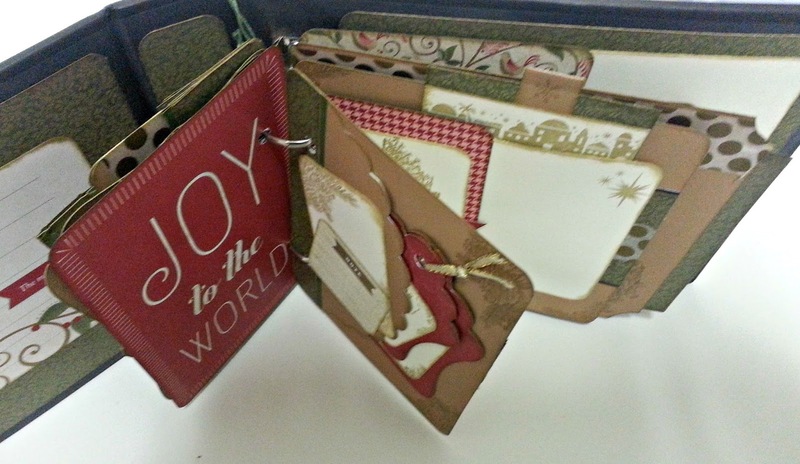 I was asked to create a Victorian/Vintage Christmas Mini Album for a co-worker. 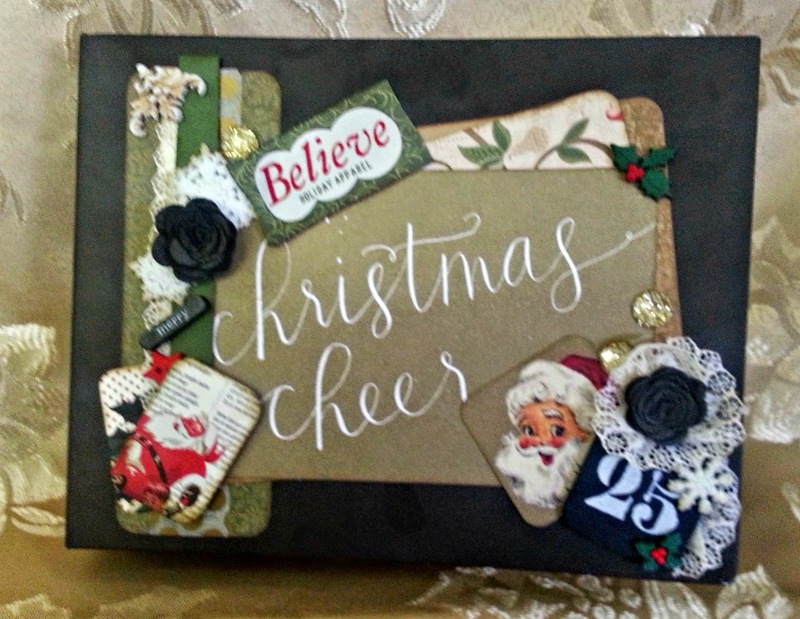 Sometimes you need to add more. 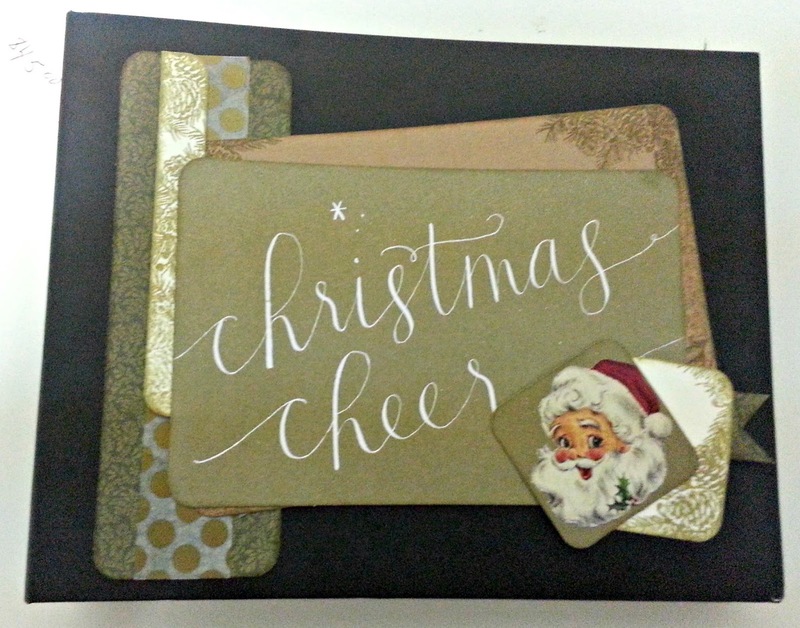 * Holiday Happening My Crush Asst. 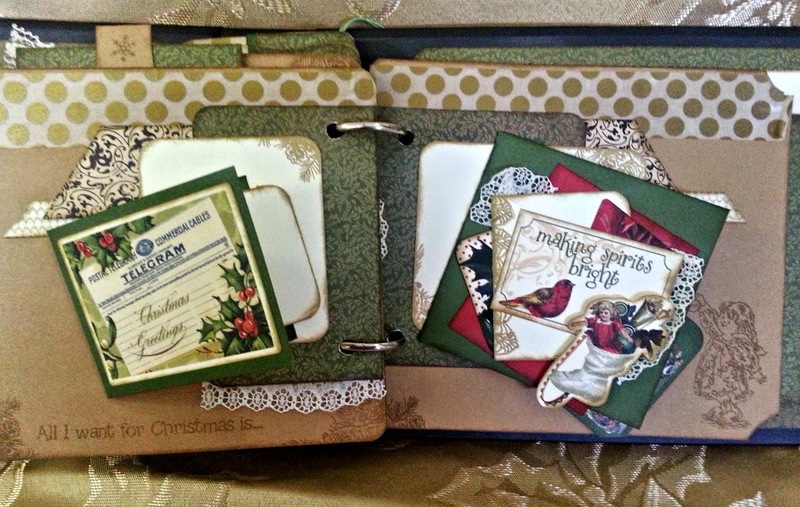 and more stuff and now, I think it's leaning toward Victorian. 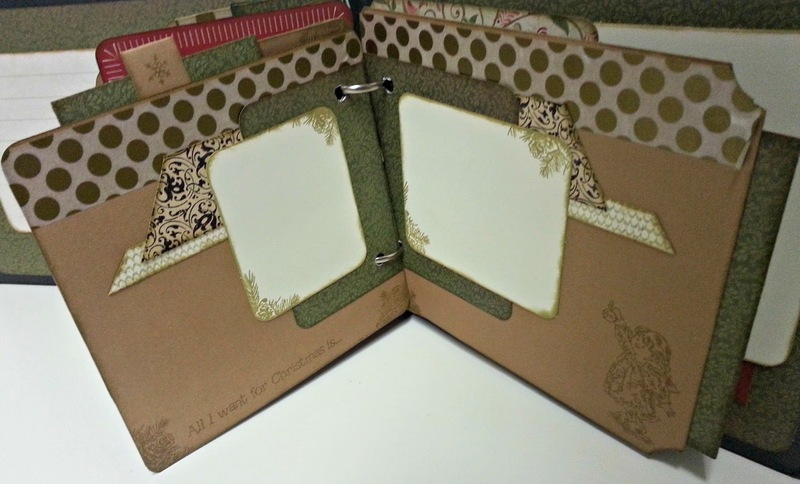 So this week's tip...to achieve a Victorian Flair, dig out bits and pieces of lace, buttons & add layers to your layout.